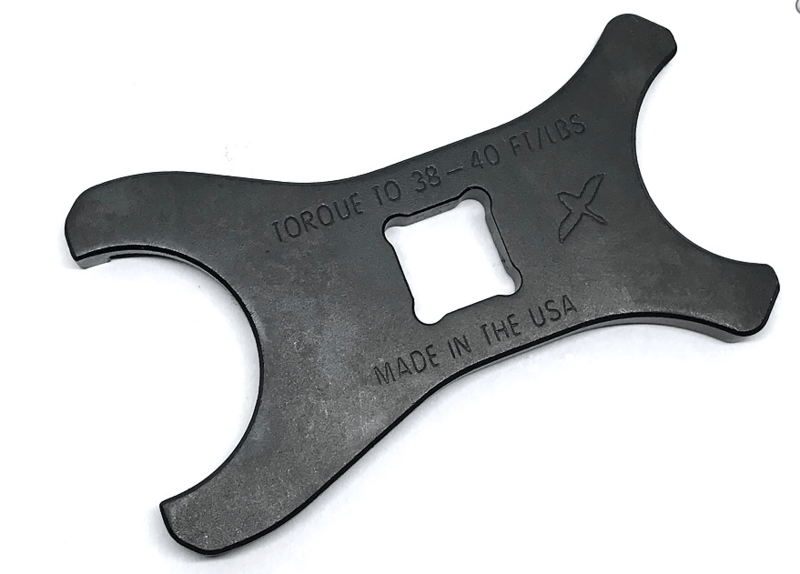 JCW (Joint Castle nut Wrench) is a dedicated, heavy duty twin castle nut wrench, precision CNC machined from 4140 steel, heat treated and black oxided, it’s something we’ve always wanted and needed. We couldn’t find one we liked, so we answered our own prayers and made it. 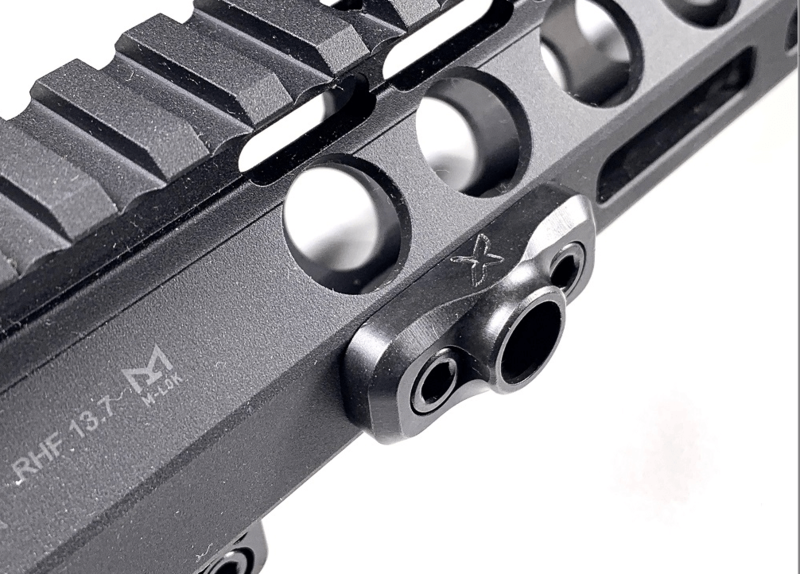 Like many AR users, we used either a heavy and unwieldy armoror’s wrench, or a cheap stamped sheet metal castle nut wench that couldn’t be used with a torque wrench, both work, but neither is great. One is overkill, the other is barely adequate. The handy JCW combines two castle nut wrenches in one. 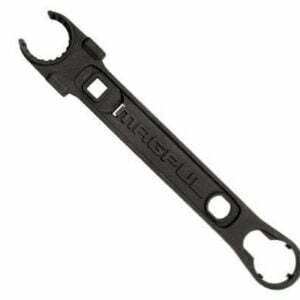 On one end, it has a conventional 3 lug castle nut wrench, spanning 180 degrees. 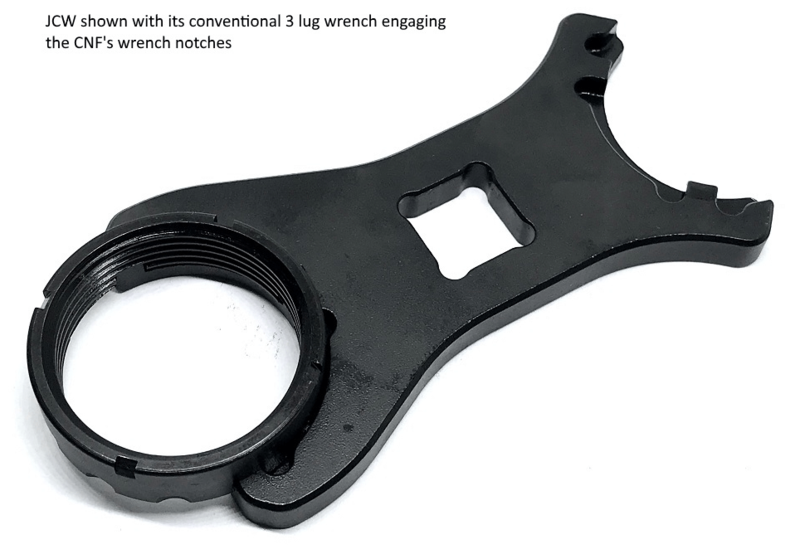 On the other end, it has a unique two lugs wrench, spaced only 90 degrees apart. JCW measures 3.5″x 1.84″ (at its widest), but is surprising heavy at 3.14oz, due to its 4140 steel construction. JCW was designed from the start to be used with a torque wrench. 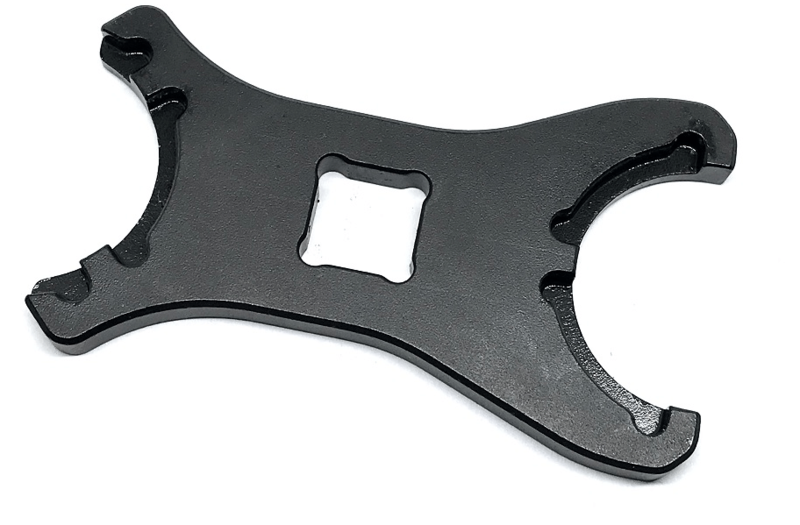 On some end plates with QD swivel sockets, the sockets housing masks a good portion of the castle nut’s circumference, and there are occasions where not all 3 wrench notches are accessible. 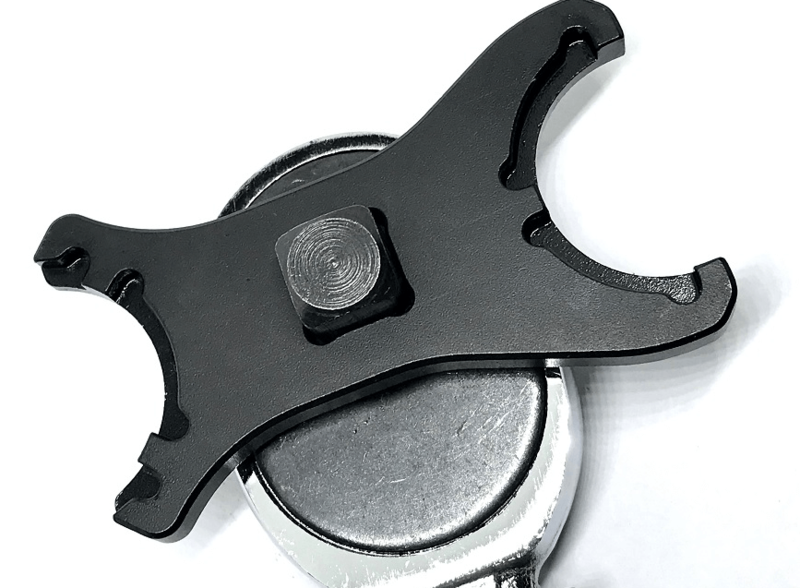 Our own ESF (End plate, Sling adapter, Forward Controls) covers up 1/4 of the castle nut’s circumference (ESF’s QD swivel housing acts as a backdrop to ensure it won’t bend under unforeseen pulling force) JCW’s 2 lug wrench is designed specifically for this task. 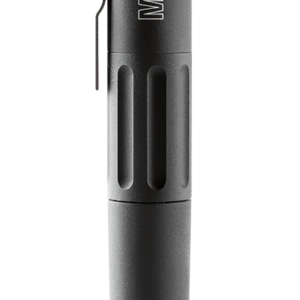 First batch of JCWs are engraved with 38-40ft/Lbs torque value, the correct value is 38-42ft/Lbs. These are sold with a discount.